We meet so many people in our careers -- how do we sustain those relationships in the long term? People are central to our careers. Everyday, we’re having introductory calls and coffee chats, we’re meeting people via email, social media, and friends. Many of these conversations go well. We establish synergy. We offer value. We ask for help. But sometimes, when we take a step back, we realize – whoa – the number of people I have been meeting and forming relationships with with truthfully exceeds the number of relationships I can devote time and energy to. Think about it: Your first conversation with someone goes one of two ways. Either you hit it off with your new connection and stay in touch, or you lose contact and don’t speak again. 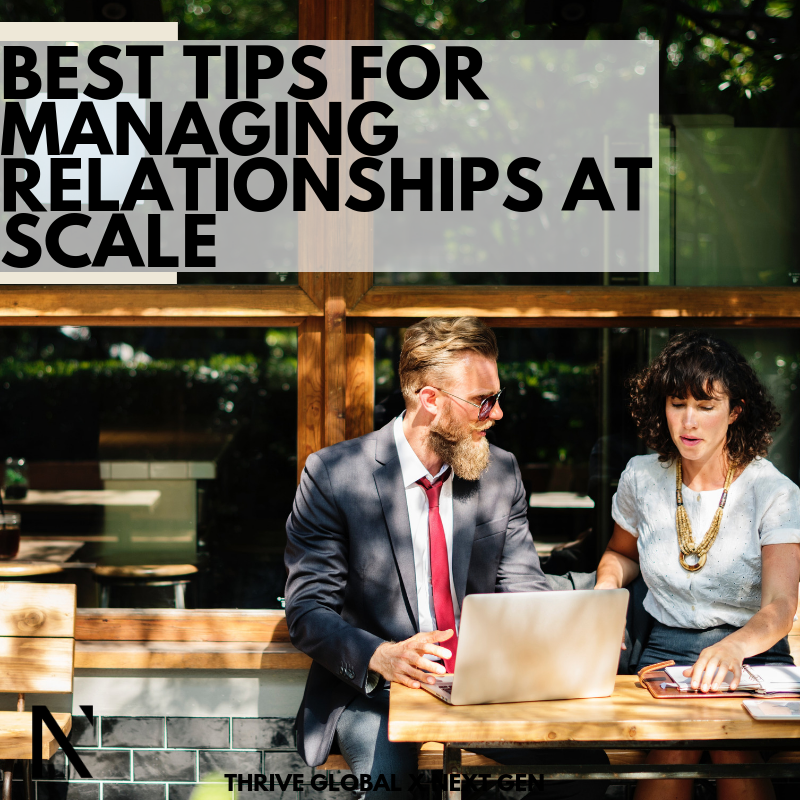 Managing a relationship requires that we continue to foster the connection long after we first meet, and doing this at scale is difficult. So, how the heck do we do it at scale? I asked the Next Gen Community how they manage their relationships because they all have so many connections and seem to manage and foster each friendship and connection quite well. Here’s what they shared. I love this two pronged approach – when you see a connection or a friend struggling or succeeding via social media or your channels, be there for them! And, checking in randomly with people seems easy enough. Kyle is one of the best relationship managers I know. The idea of having a CRM to manage relationships is great – people always remember that you remembered their birthday, and I love it when I get the occasional check in from someone. We all love feeling remembered! In fact, there are more tools for this than just your own CRM. Phillip Hedayatnia recommended his friend Brandon Wang‘s app Conduit — a relationship management tool that he checks daily. I’m currently on the waitlist for it, so I’ll report back when I try it out! Holding yourself accountable by setting aside time committed to connecting with your contacts is an amazing idea. Josh just moved to Shanghai, so I know he’s putting this advice to the test and is speaking from experience! Make relationship management a priority. Sending along something and saying, “This made me think of you” goes a long way. I’ve received emails from contacts with links to articles on women in venture capital or my other areas of passion, and it always is impressionable that they thought of me. Whether its 150 or 1500, these tips have helped me plot ways I can better manage my relationships to make sure I’m always there for my contacts and can continue to offer value. A big thank you to the Next Gen community for sharing their sage advice! Want more relationships to manage? 😉 Connect with the Next Gen Community! We have over 3,500 members who come from a range of industries, backgrounds, and experiences. Request to join here.